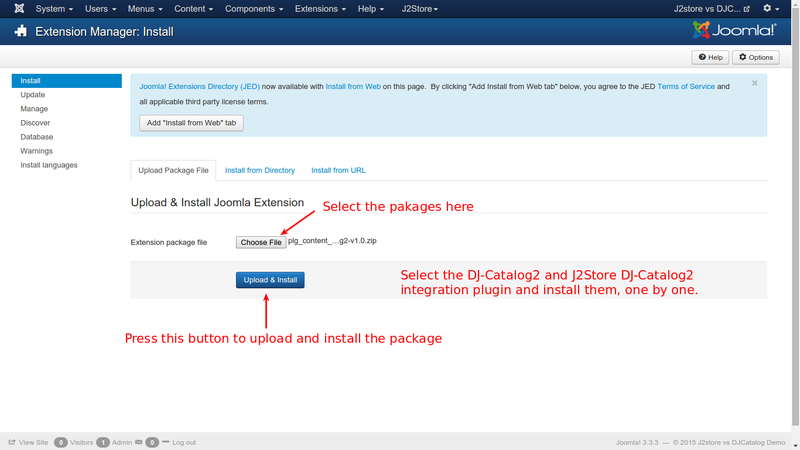 This plugin integrates the popular joomla catalog extension DJ-Catalog2 with J2Store enabling users to create a powerfull and full fledged online store. 1. 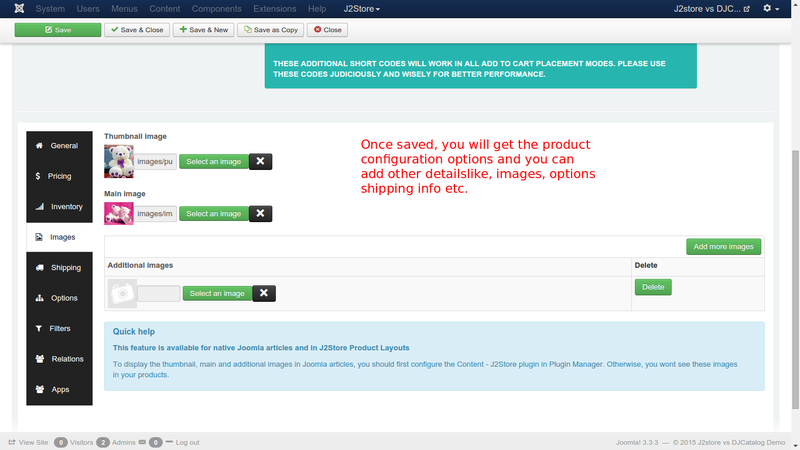 Go to Extension Manager in control panel. 4. 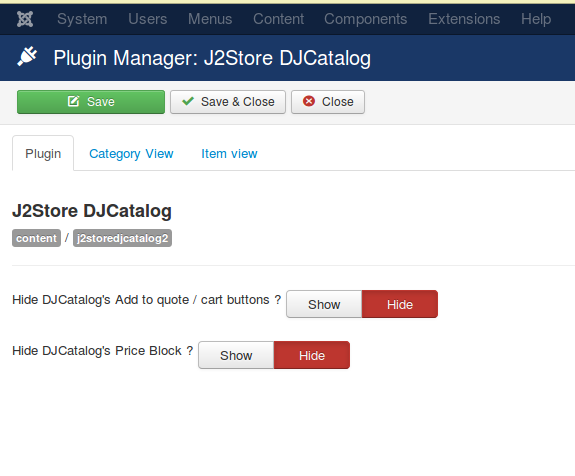 Hide the DJ Catalog's Add to quote button and Price. 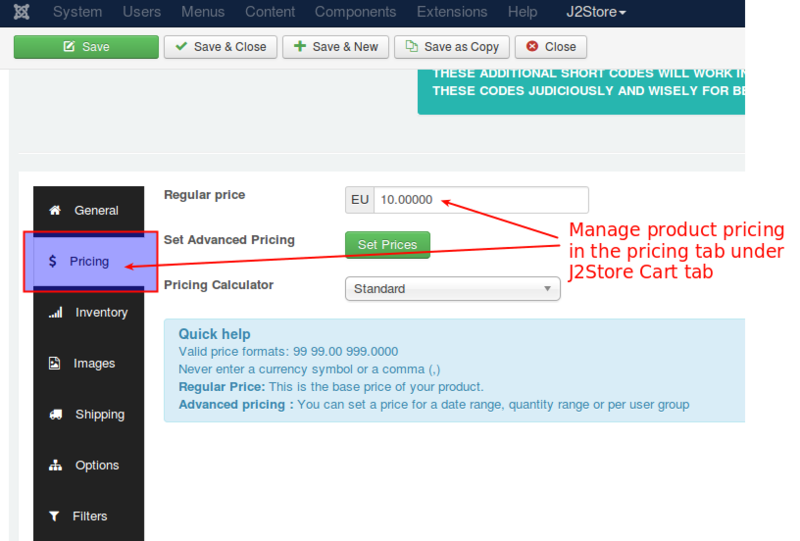 Price and cart will be displayed in J2Store cart section. 1. Go to Components -> DJ-Catalog2. 2. 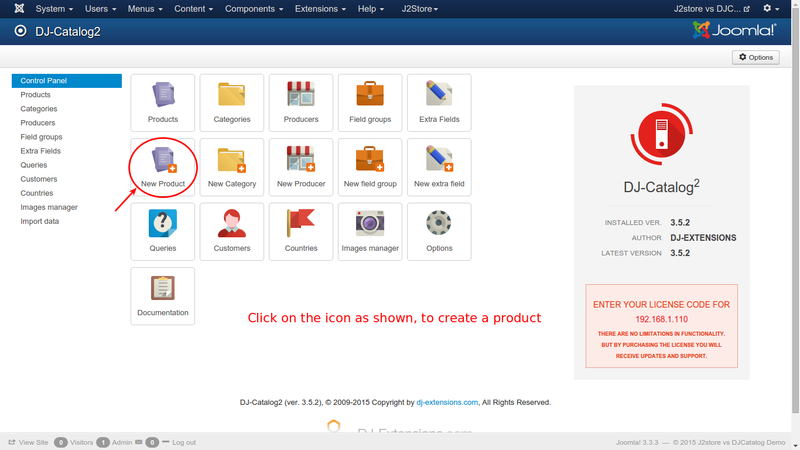 From DJCatalog2 Control panel, Choose New Product icon. 3. 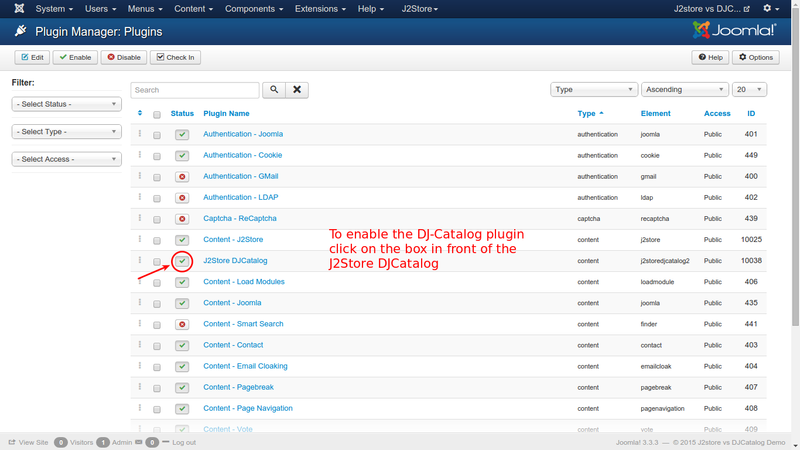 You can find J2Store Tab as shown in the image, indicating that J2Store is integrated with DJ-Catolog2. 4. 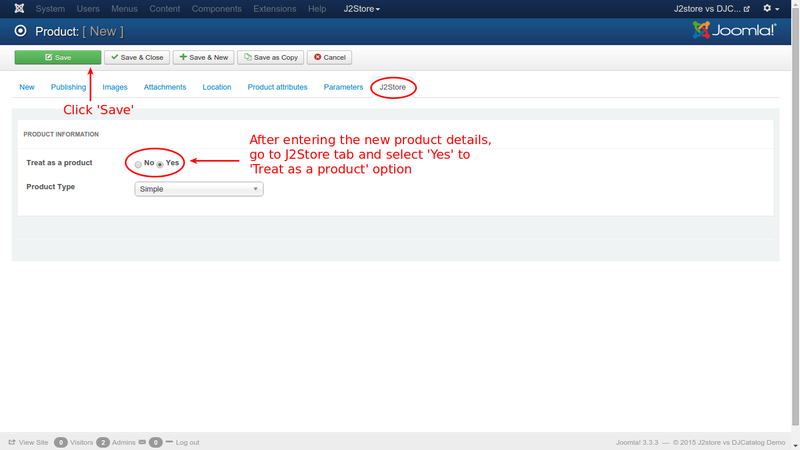 Enter the required fields and click on the J2Store Tab, set Yes to Treat as a product option and click on Save. 5. 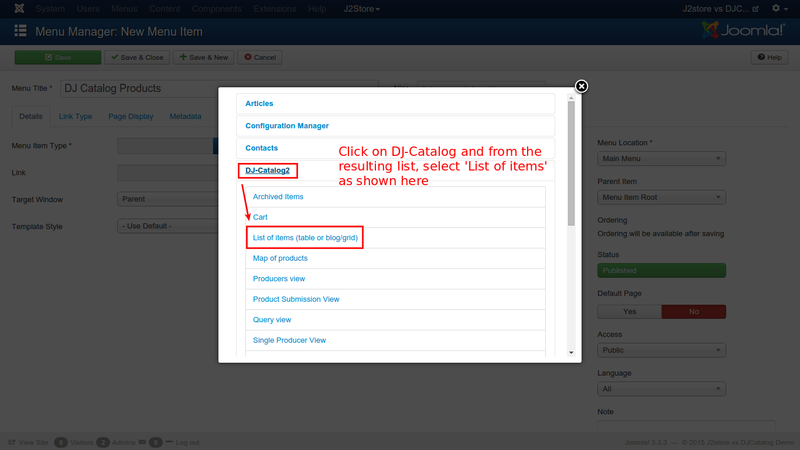 Now the product is created and will have the configuration options enabled. 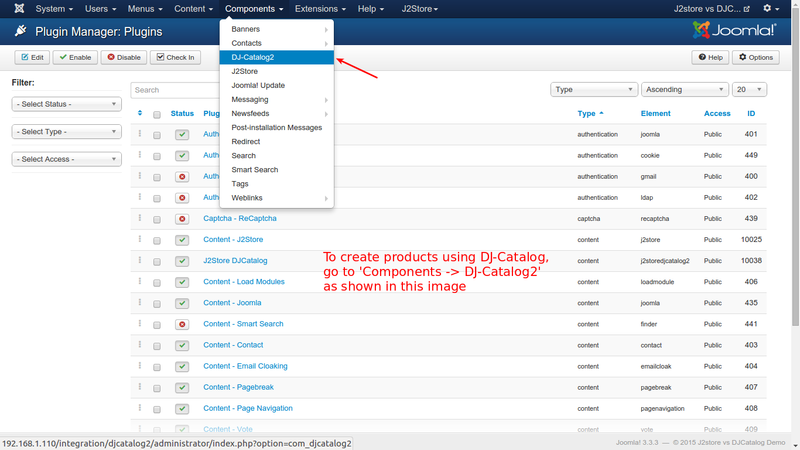 Enter the product details like, images, prices, options, filters, relations etc., and save the configuration. 6. 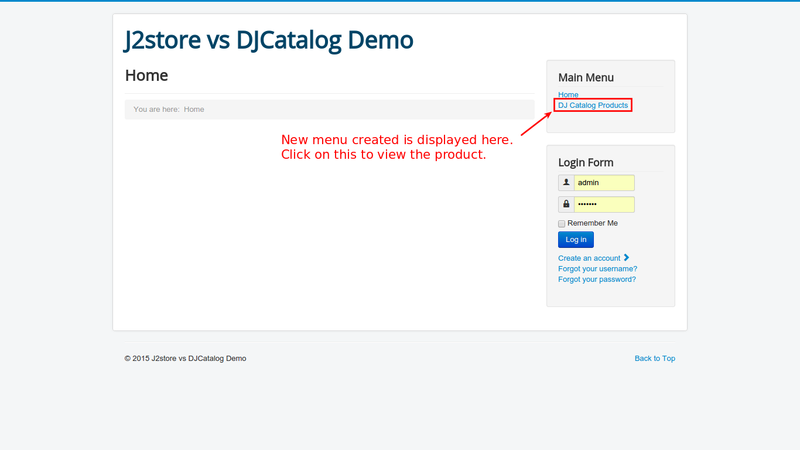 The product is created using DJ-Catalog2. 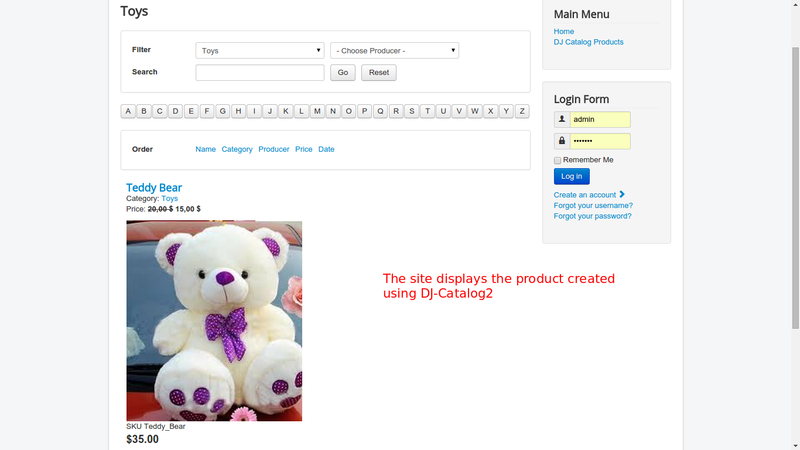 To display the product in the frontend, a menu is to be created. 8. 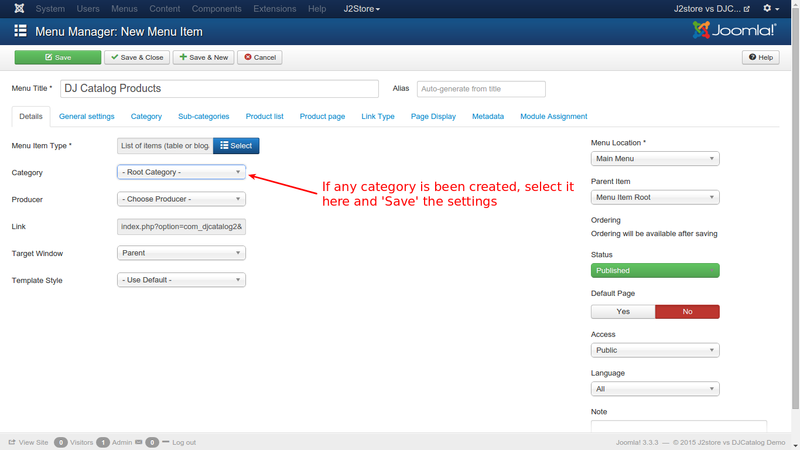 Enter a name for the menu and click on the Select button to select the menu item type. 10. 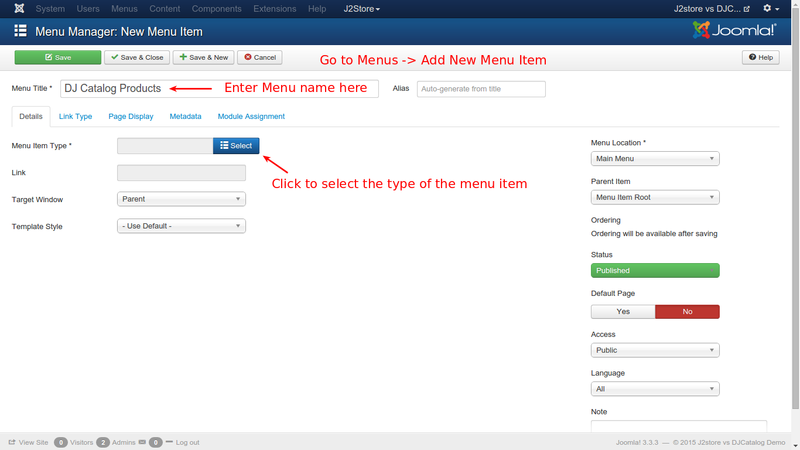 Save the menu item and go to site. You can see the menu item displayed below the Home menu item.